For families of two or families of ten, Orlando is a prime family holiday destination. The vast array of attractions, no matter your age, tick all the boxes for outdoor adventures, theme parks, nightlife, golf, water parks and shopping. Florida is America’s holiday resort. It’s blessed with an amazing array of attractions and enjoys year-round sunshine earning it the nickname “the Sunshine State”. 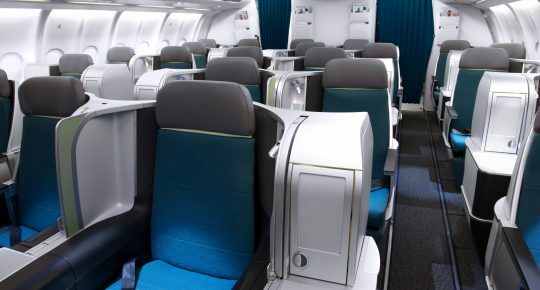 Our Dublin-Orlando route is served up to four times a week with lots of connecting options from the UK and Europe. Once you arrive, you’ll be impressed by the world-class facilities. Florida was built to be enjoyed. Here’s why Orlando is our perfect destination for the family. When it comes to picking which theme park to visit in Orlando, choice won’t be your problem. Your biggest issue will be deciding where not to go. Top of most lists will be Walt Disney World. Consisting of four theme parks, two water parks, multiple golf courses, countless restaurants and 25 hotels, you’ll need a minimum of a few days here to make a dent. The classic theme park is the Magic Kingdom, or as it’s more affectionately known, “most magical place on earth”. It’s one for all ages and brings out the kid in everyone. The fireworks and nighttime spectaculars are a fantastic way to cap off a day exploring the park. As the name suggests, Disney’s Hollywood Studios is the place for all things Disney-movie-related. Check out the Slinky Dog Dash at Toy Story Land and The Twilight Zone Tower of Terror. You won’t need a ticket for Disney Springs. The outdoor shopping, dining, and entertainment centre is a great way to unwind after a day of exploring the parks. 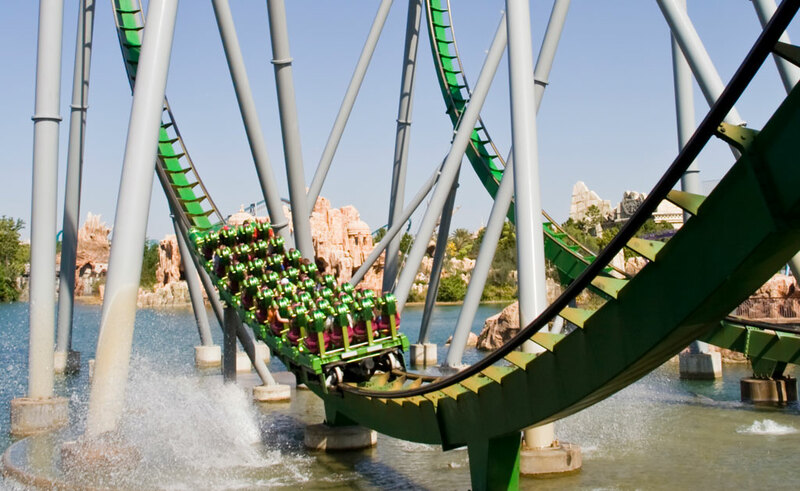 With thrilling white-knuckle rides, Universal Orlando Resort is the big brother of theme parks in Orlando. Located just off International Drive, the resort is split into Universal Studios and Universal’s Island of Adventure. Both parks are filled with roller coasters like Revenge of the Mummy, Hollywood Rip Ride Rockit, and many more. Equally thrilling but not as terrifying are the virtual rides including The Simpsons Ride and the Amazing Adventures of Spider-Man. There’s plenty for younger riders too with Seuss Landing and the soaring Pteranodon Flyers. If you need to cool down, hop on one of the water rides that are ideal for the hot weather. Spread across Universal’s Islands of Adventure and Universal Studios Florida, is the World of Harry Potter. 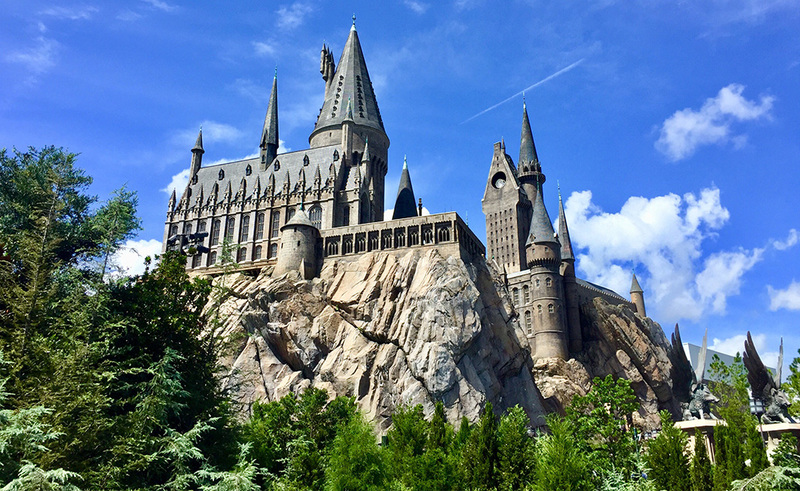 You can sip butterbeer as you visit the wizarding village of Hogsmeade, explore the wonders of Hogwarts Castle or wander through Diagon Alley. Heaven for you die-hard Potterheads. The Kennedy Space Center is one of those attractions you just can’t leave out. Located in Cape Canaveral, you’ll experience first-hand one of the most important landmarks in space travel. Here they’ll take you on a journey through the history of the Space Centre, right up to the modern day. The Rocket Garden is a particularly impressive spot. 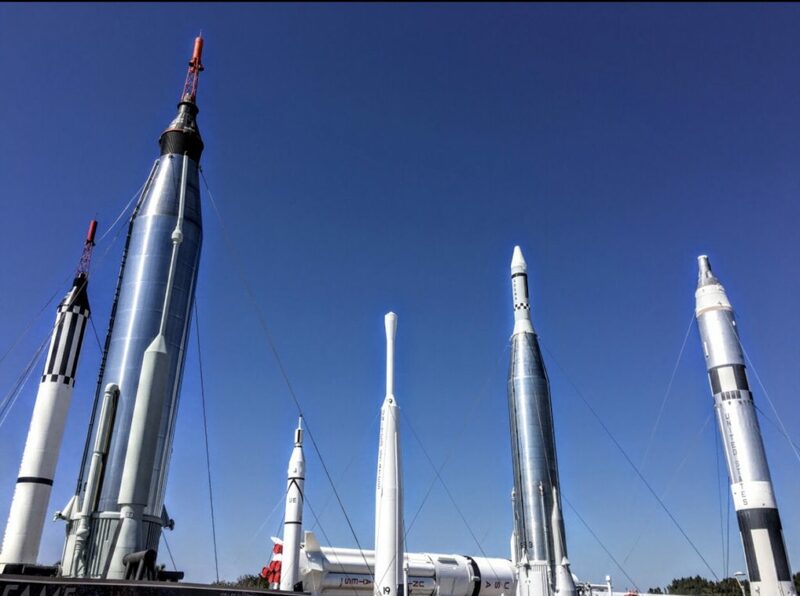 Like a happy family of garden gnomes, the Kennedy Space Centre has gathered together a collection of true-to-size rockets! Walking among them, you’ll get a daunting perspective of just how big these machines really are. You can’t really say Kennedy Space Centre without conjuring up thoughts of the moon landing. Naturally enough, they have this part of history well-boxed off. In their Race to the Moon mission zone, you’ll get a first-hand look at the various Apollo space missions. From the control room where these incredible expeditions were monitored to a theatrical recreation of the very first moon landing, you really get the sense that you’re somewhere special. If you’re lucky you’ll get the chance to view actual artefacts from real Apollo missions. Alongside spacecraft from various missions, you may even see the moondust-covered space suit of Alan Shepard; the fifth man to walk on the moon. The Kennedy Space Centre is just too cool a place to miss. There’s lots to do on International Drive, but a good place to start is with a ride on Orlando’s ICON observation wheel. Standing 400ft in the air, you’ll get an unrivalled view of the city. Once back on solid ground you’ll have no shortage of things to turn to next. You could rub shoulders with the stars and celebs in Madame Tussauds – a great place to grab some photographs with all the famous people you ‘met.’ And the kids will love discovering the strange, the shocking and the beautiful at Ripley’s Believe It or Not! When the time comes to relax with a drink and some food, there’s an abundance of restaurants and bars on International Drive for you to unwind in. One of my favourites is Café Tu Tu Tango. This restaurant is a feast for all the senses with loads of art on display (which you can buy off the walls), aromatic smells from the kitchen, vibrant music, and most importantly the food is excellent. 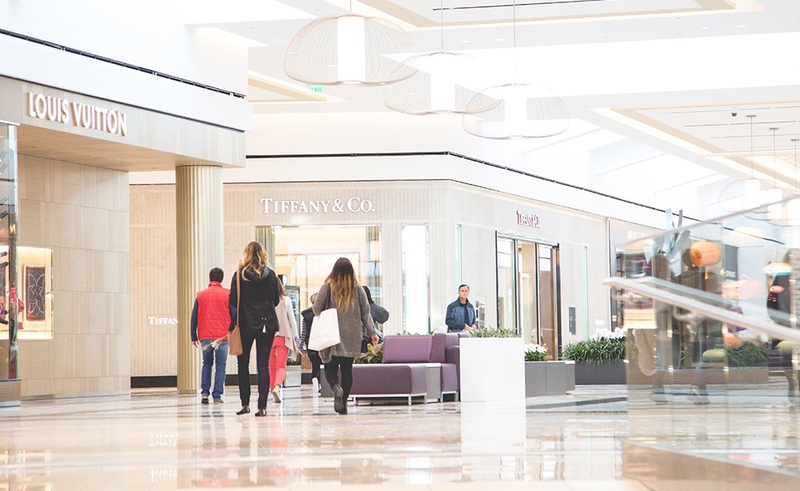 Orlando provides ample opportunity to shop ’til you drop. Located on International Drive, the Orlando International Premium Outlets houses some of the world’s best-known brands. Michael Kors, Tommy Hilfiger, Calvin Klein, Karl Lagerfeld… they have it all. What’s more, you’ll be able to shop safe in the knowledge that you’re making some big savings. Expect to buy the brands you love with discounts ranging anywhere between 25% to 65% off. Two other great shopping destinations are the upmarket Mall at Millenia and the enormous Florida Mall. 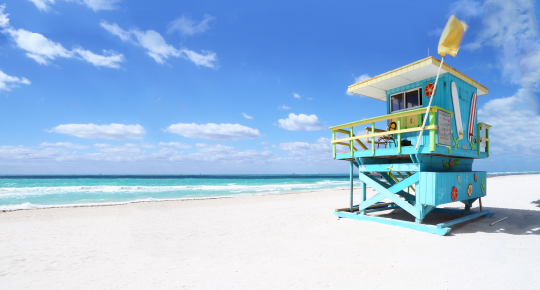 Book your flights to the sunshine state here.